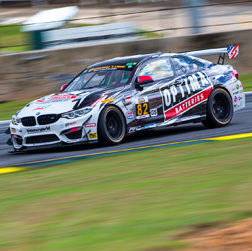 The BMW aftermarket and tuning experts at BimmerWorld will carry the branding, support and technical know-how of OPTIMA batteries and chargers as the team races into its sixth season of competition in IMSA’s Continental Tire Series. 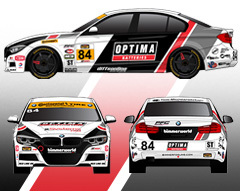 The most obvious connection between BimmerWorld and OPTIMA will be found with the custom livery carried by the turbocharged No. 84 BMW 328i driven by team owner James Clay and co-driver Jason Briedis at each of the 10 Continental Series events this year, yet the burgeoning partnership involves more than OPTIMA logos on the No. 84 and smiling for the TV cameras. OPTIMA’s batteries will obviously power BimmerWorld’s BMWs, but as Clay explains, the relationship—and information exchange—between both companies goes far deeper than simple product usage. “I joined OPTIMA in their brand ambassador program in 2014, which gave me the opportunity to go through technical training on their products, as well as become more familiar with the people and processes behind the brand,” said Clay. “Batteries are so often thought of as the black plastic box in the trunk that somehow make the car start, but there is much more than that to them once you actually get familiar with the inner workings, and OPTIMA leads the field in producing a truly premium product. 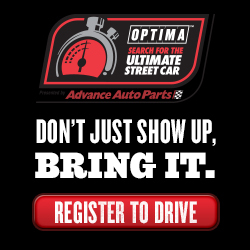 “I am constantly looking for premier technical partners that give us the absolute best product for our grueling conditions that keep our cars on track and winning, and OPTIMA is a perfect fit for our team in this regard. OPTIMA Director of Marketing Cam Douglass says they’ve found the right fit with BimmerWorld to promote the brand’s expanding line of offerings. “Our Brand Ambassador program does extensive research to find true market leaders among a wide range of enthusiast niches, and when looking for a leader among the European performance enthusiasts, BimmerWorld really stood out to us,” he said. “James and his team have an outstanding and well-earned reputation for excellence across the board, from product quality to customer service, all the way to their performance on the track, and we were proud to learn that they were fans of our OPTIMA products too. Part of the new relationship between BimmerWorld and OPTIMA will see a continuation of Clay’s commitment to bringing race-proven aftermarket items to his customers. 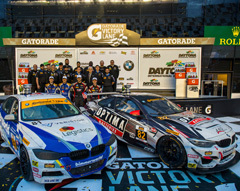 “We are constantly trying to improve everything we do, and by working directly with James and the BimmerWorld team, we really hope to improve the entire OPTIMA experience for BMW owners,” Douglass explained. “We appreciate James’ efforts to make it easier for BMW enthusiasts to equip their cars with OPTIMA products and we’re hoping to make that even easier in the future. Clay says BimmerWorld will soon have a range of bespoke options for performance-minded BMW owners to choose from via their website, by phone, or in person at BimmerWorld’s base in Dublin, VA.
“This has been a busy offseason for BimmerWorld with a variety of new initiatives both on track and behind the scenes,” he noted. “In the near future, OPTIMA battery and battery charger products will be available from BimmerWorld, and more importantly, we will be offering direct-fit kits to install OPTIMA batteries in your BMW. 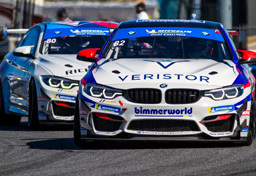 BimmerWorld Racing is the research, development, and testing arm of BimmerWorld, a premier North American BMW performance facility. Founded in 1997 by James Clay, BimmerWorld began as a supplier of used BMW parts and quickly grew to offer replacement parts, performance parts and race parts for BMW enthusiasts across the globe. BimmerWorld’s dedication and attention to detail ensures your satisfaction on and off the track. From our racing heritage, we know how critical timely and accurate service is, and customer satisfaction is the fuel that drives our staff of the most dedicated BMW specialists in the industry, with extensive street and racing experience to guide you to the perfect setup for your daily driver or track car. 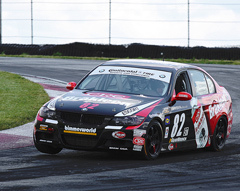 Visit www.BimmerWorld.com for a wide selection of BMW stock, performance, and racing parts, and www.BimmerWorldRacing.com to learn more about the race team and its cutting-edge turbocharged BMW F30s competing in the Continental Tire Series. OPTIMA® YELLOWTOP®, REDTOP® and BLUETOP® batteries are available through leading battery distributors globally. When looking for OPTIMA Batteries consumers should look for the unique, colored-top and SIX PACK™ design which OPTIMA is known throughout the world. In 2012, OPTIMA added to its product line with the innovative OPTIMA® Chargers Digital 1200 Battery Charger for all automotive and marine batteries. To find out more information or purchase OPTIMA products consumers may visit www.optimabatteries.com. Consumers can also call 1-888-8OPTIMA (1-888-867-8462) for additional information. Johnson Controls Power Solutions is the global leader in lead-acid automotive batteries and advanced batteries for Start-Stop, hybrid and electric vehicles. Our 50 manufacturing, recycling and distribution centers supply more than one-third of the world’s lead-acid batteries to major automakers and aftermarket retailers. Through our innovations we are building the advanced battery industry for hybrid and electric vehicles. We were the first company in the world to produce lithium-ion batteries for mass-production hybrid vehicles. Our commitment to sustainability is evidenced by our world-class technology, manufacturing and recycling capabilities.